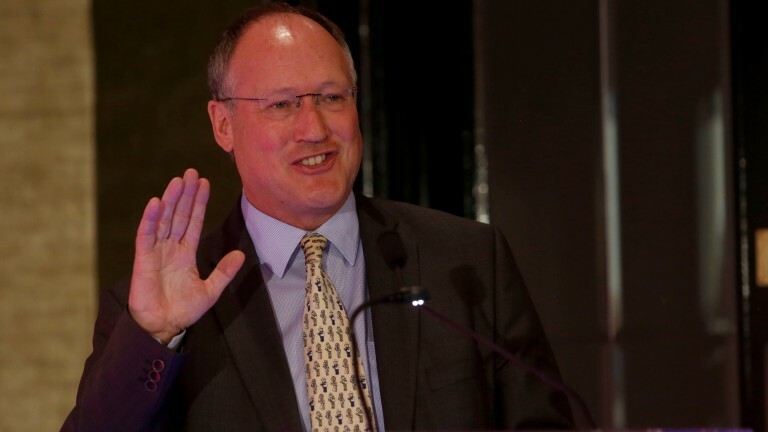 BHA chairman Steve Harman has acknowledged that racing is not at the "top of the pile" of the government's priorities when it comes to industries that could be affected by immigration controls following Brexit. However, he told the Racehorse Owners Association annual general meeting he believed the sport could gain concessions from Westminster. Having addressed the AGM, Harman was asked about the sport's relationship with government given racing's problems with staffing could be exacerbated once Britain leaves the European Union. Harman said: "Racing isn't top of the pile. At the moment in Westminster the big priorities are what they call critical immigration industries." However, he said his personal view was there would be what he described as "exclusions" – exemptions to standard immigration rules for highly skilled and specialist roles that cannot be filled domestically – and that racing's stable staff could be an area that benefited from them. "The position in Westminster across all parties in both houses has always been when you show us what you are doing to develop UK talent we will come to the party," he said. "What are you doing with schools, what are you doing with equine colleges, what are you doing in inner cities, what are you doing with army veterans? "We're starting to get after some of these opportunities and when Westminster sees that then I think we will get exclusion." Harman was also asked about the situation at Musselburgh where ongoing internal strife among the course's leadership has led to the loss of its racing licence. He said: "We have made it very clear . . . that we have to have good governance in place. "This has been an ongoing discussion with Musselburgh for some time and this is certainly not a last-minute decision by the BHA. "We've made it very clear a continuation of the licence is conditional on having a proper external governance review. I'm very hopeful, as we all are, that racing at Musselburgh will resume." Harman was also questioned about whether the BHA had a code of conduct for racecourses after the Little Mix concert at Newmarket last month when it was claimed children were injured and traumatised by the behaviour of some racegoers. The BHA chairman said: "I know the racecourses are taking this extremely seriously and have done a whole range of things in the last six months." However, BHA chief executive Nick Rust warned such issues were not under the governing body's control and emphasised the importance of racecourse concerts to the sport's finances. He said: "Many people in our sport think we should run the sport for top-level racing and it will all be okay and we can keep with the traditions. We can't. The age of people in our sport is increasing, we are not getting younger people involved, we have to adapt. "Yes, racecourses need to ensure they comply with legislation around controlling these things but music nights are part of the future of our sport." Harman, who first spoke at the ROA AGM in 2014, updated the audience on the progress that had been made since then over the sport's priority areas. He warned there would be "bumps" ahead but concluded: "The foundations are more solid and we have some clear opportunities over the coming years to further increase the pace by which we can improve the health of this fantastic sport."